What do employees and coworkers have in common with a five-ton killer whale? 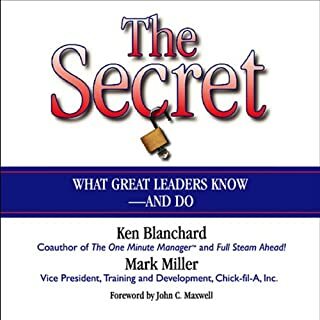 A whole lot more than you think, according to the mega-best-selling author Ken Blanchard and his coauthors from SeaWorld. Whales respond best to positive reinforcement. So do humans. 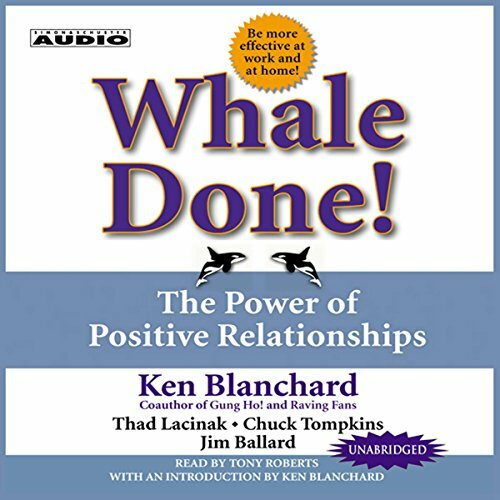 In this moving and inspirational audiobook, Blanchard explains how using the techniques of animal trainers - specifically those responsible for the killer whales of SeaWorld - can supercharge your effectiveness at work and at home. When gruff business manager and family man Wes Kingsley visited SeaWorld, he marveled at the ability of the trainers to lead huge killer whales in performing acrobatic leaps and dives. Later, talking to the chief trainer, he learned their techniques of building trust, accentuating the positive, and redirecting negative behavior - all of which make these extraordinary performances possible. 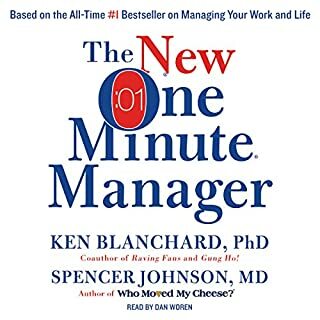 Kingsley took a hard look at his own often accusatory management style and recognized how some of his shortcomings as a manager, spouse, and father actually diminish trust and damage relationships. 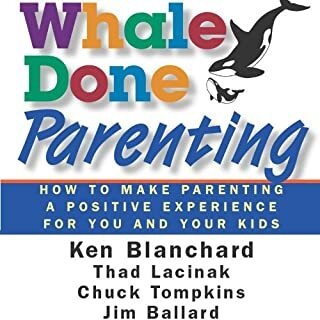 He began to see the difference between "GOTcha" (catching people doing things wrong) and "Whale Done!" (catching people doing things right). What did you learn from Whale Done! that you would use in your daily life? 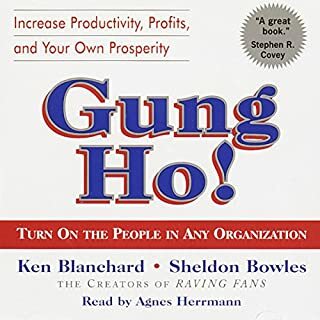 I have read this book and listen to it on tape or audiobook more than three times each. Each time I appreciate it more more. It helps me to focus on what's right and positive with the people in my life and the situations in my life. Great topics presented in an easy way to understand. Enjoyed this short and easy listen. Must read for proper relationships! What did you love best about Whale Done!? How well it was read even though it is an educational book! The keys are here to help people build relationships to prosper at home and at work. What about Tony Roberts’s performance did you like? Made it interesting to listen to an educational topic. Felt more like hearing a story instead of getting basics for building relationships. That positive will over come negative and give you the results that you are seeking. Pastors, teachers, people thinking of getting married, managers, and people with children should be required to read this book! If you could sum up Whale Done! in three words, what would they be? Love is blind.The reason I used those three words is because when you first fall in love, you focus on the positive. You don't notice that your new boyfriend/girlfriend chews with his/her mouth open. You focus only on the positive. 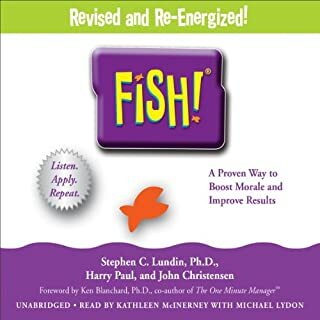 It's an excellent example used in the book to explain how positive reinforcement makes a difference in relationships. This book offers very valuable advice on parenting! It's worth the time. I actually plan on listening again, just to make sure I don't forget the importance of positive reinforcement. this book has changed the way I view and handle all my relationships. it's not easy getting started using these concepts but if you persist it is highly beneficial. Loved this book! Easy to apply to work and home life. Well worth the time. 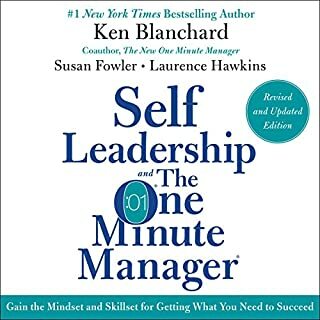 A lot of this book is a lifestyle I have already adapted due to personal preference however like most everyone else out there I fail frequently. I will be working on that. Delivery was great -- book was a bit redundant. The delivery of the reader was great. The content of the actual book was a little so-so, however. I felt as if the same information was being repeated over and over, just in different ways. Perhaps this was an attempt to show the methods in different ways, which could work... but I feel as if it could have been just as effective in half the time.